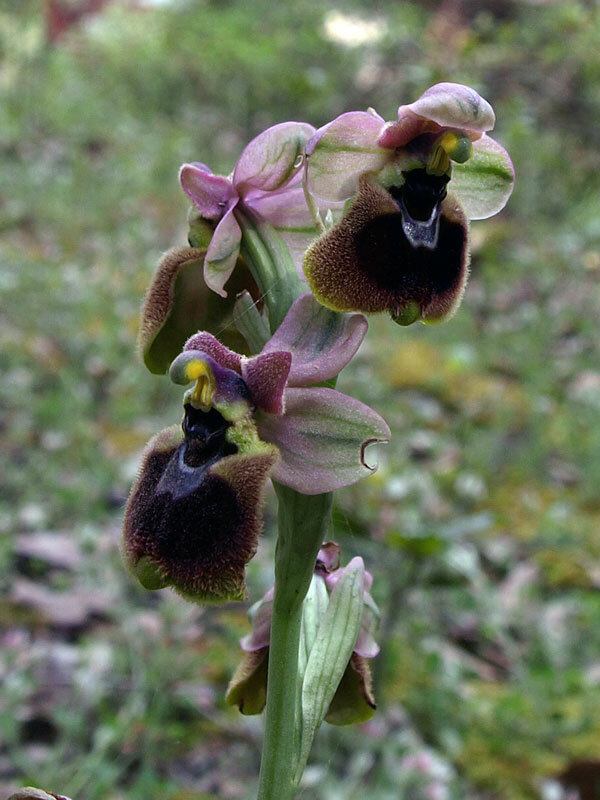 Ibrido: Ophrys tenthredinifera Willd x Ophrys fuciflora (F.W. Schmidt) Moench subsp. chestermanii (J.J. Wood) Blatt & M. Wirth.